Our kitty Pipacs is still doing okay. 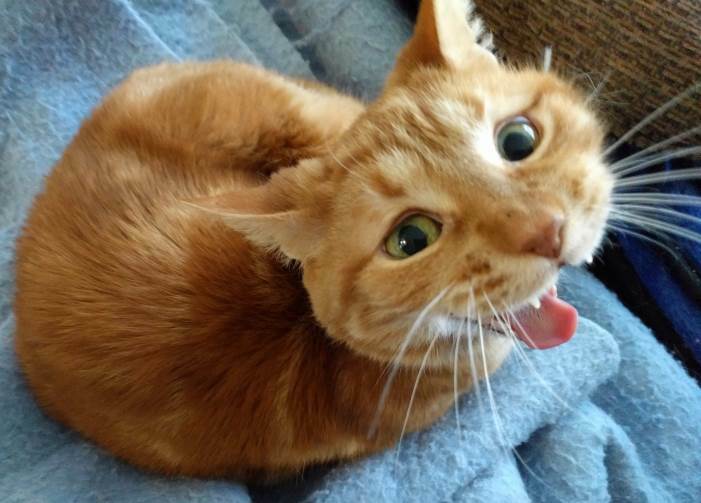 Don’t worry, he was just yawning. What we haven’t seen is any poop from him in the past 36 hours or so, and he seemed to be a bit under the weather at times. I hope it doesn’t mean that his bowel is obstructed again. We know he’s living on borrowed time, but we hope that there is still a little bit more time out there for him to borrow.